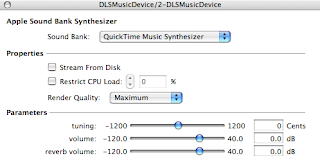 DLSMusicDevice is a built-in AU SoundFont player for the Mac OS. It's listed under the Apple Audio Units. 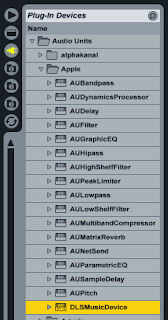 If you happen to download any compressed SoundFonts (sfArk) files, you can decompress them with sfArk.